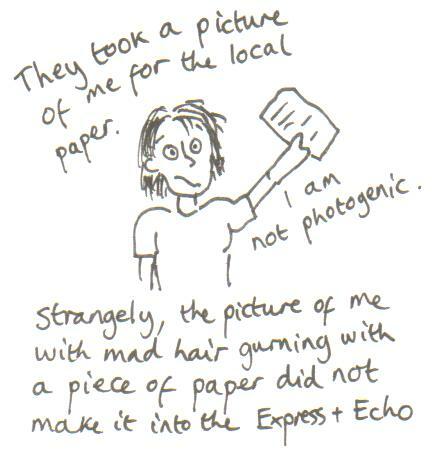 For a few days, for a change, I’m going to stop ranting about PhD stuff and rant about undergraduate stuff instead. It’s been a long time since I was an undergraduate. Now I teach them, and they ask me questions like whether I am ‘familiar with YouTube’ because they think I’m ancient. But I can remember what it was like, back when we had to hunt mammoths for food and submit cave paintings instead of essays. This time of year always makes me want to hand out sage advice like one of the people outside the Scientology Centre on Tottenham Court Road with their scarily toothy smiles. Ahem. Got slightly carried away there. Anyway. A-level results have happened here in England and Wales (and Highers in Scotland, earlier this month). Some people will have achieved really good marks, some people will not have done as well as they’d hoped, and some poor lasses will have been featured on the front cover of the Telegraph screeching with happiness while looking like the Middleton sisters, which is how the Telegraph likes its women. If you’ve just received your results – respectively: Well done! / Commiserations, that’s a tough break, sure you did your best though and you still have lots of options / Ugh, sorry you were effectively sleazed on by a newspaper that mainly likes cricket, but at least your parents’ll have a nice photo to frame. Anyway, if you received your results recently (and if you didn’t, too, of course) you may well be off to university in the autumn. And you may well be attempting to wrap your head around what that is actually going to mean. The blogpost you see before you isn’t advice on preparing for university in a general sense – i.e. 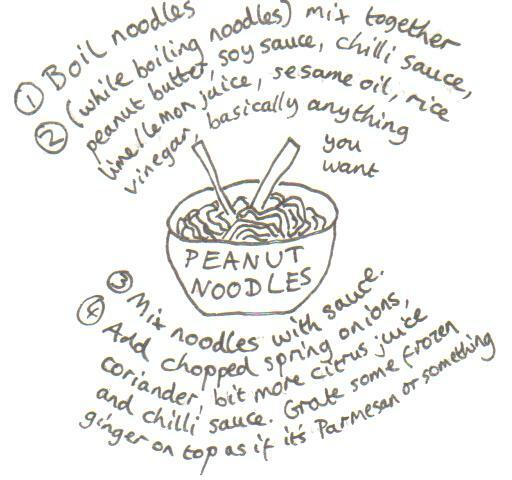 I’m not going to tell you how many pans you’re likely to need, or explain some vaguely patronising recipes for pasta dishes, because there’s lots of that all over the internet and I’m no sort of expert even though I’m on degree #3 and my peanut noodles are the four minute food of the gods. Also, I hate those articles, because a) not all first-year undergraduates are leaving home for the first time, some stay living at home and some are mature students and many will have done interesting and independent things on gap years, and b) in my experience no first-year undergraduate is stupid, and those sort of articles treat them as if they are. Rather, I want to explain how you can prepare for the actual work of your degree, before you get to university and have to start doing it at the same time as learning where the campus bar is and how to use a washing machine (quick patronising note: for the love of all that is holy, learn to use a washing machine before you go to university if you don’t already. You are an adult). Because actually, for most people living away from home and cooking with a kettle and a microwave, or commuting from where they already live to a big ol’ lecture hall, is not actually a mystery. But what you need to do to prepare for degree study – that might be mildly mysterious. I’m going to focus pretty closely on English Literature, because that’s what all of my higher education experience is in. I think that the spirit of the advice should apply to most arts subjects, at least, so if you’re not planning to study English – extrapolate! And if you’ve already done a degree (or two, or three…) or are currently doing one and have some advice you’d like to add (or if you want to tell me I’m horribly wrong), do post a comment. Also, these are my opinions. Usual cautions about taking the advice of meddlesome strangers apply. For the first post! Reading lists, and how to wrangle them #1: What to read first? And for the second: Reading lists and how to wrangle them #2: To buy, or not to buy?